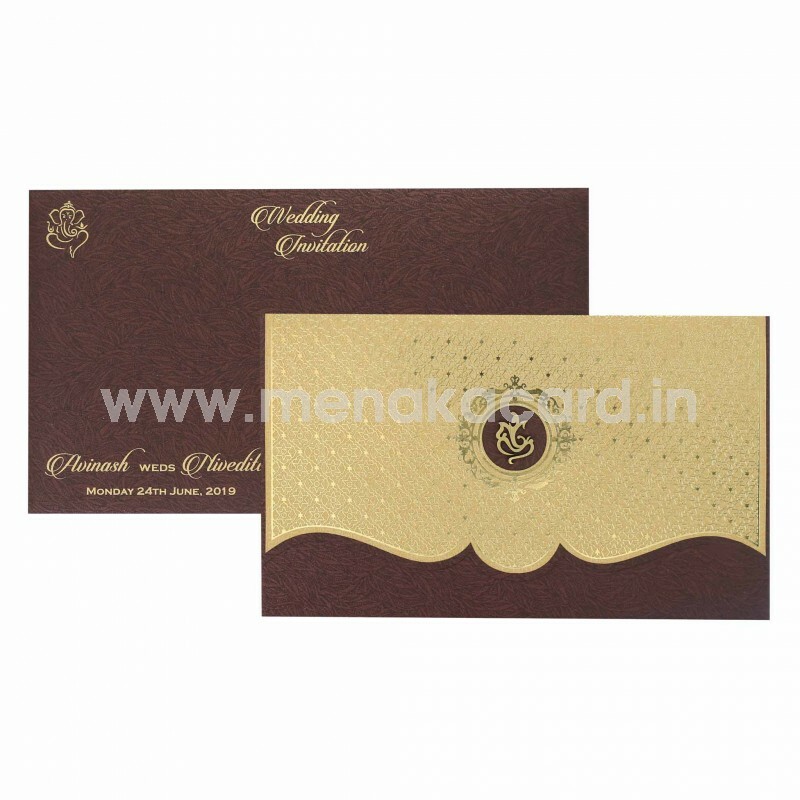 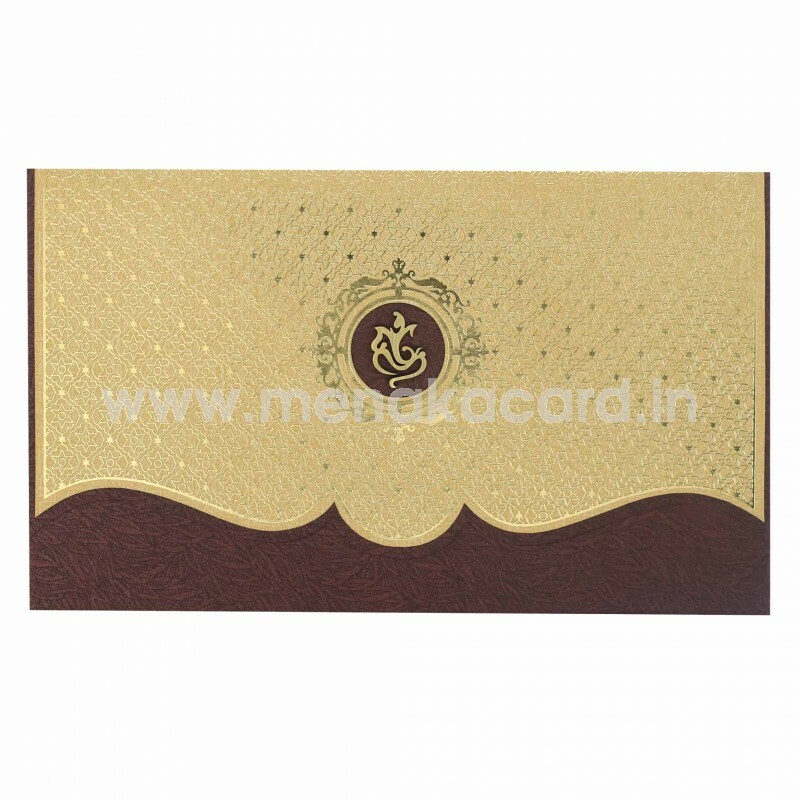 This resplendent brown and cream card is a laptop folding card that has the main flap embellished with royal gold foil floral filigree patterns, as an accompaniment to the delicate Ganesha laser sticker revealed at the die-cut window at the centre, from the maroon flap below. 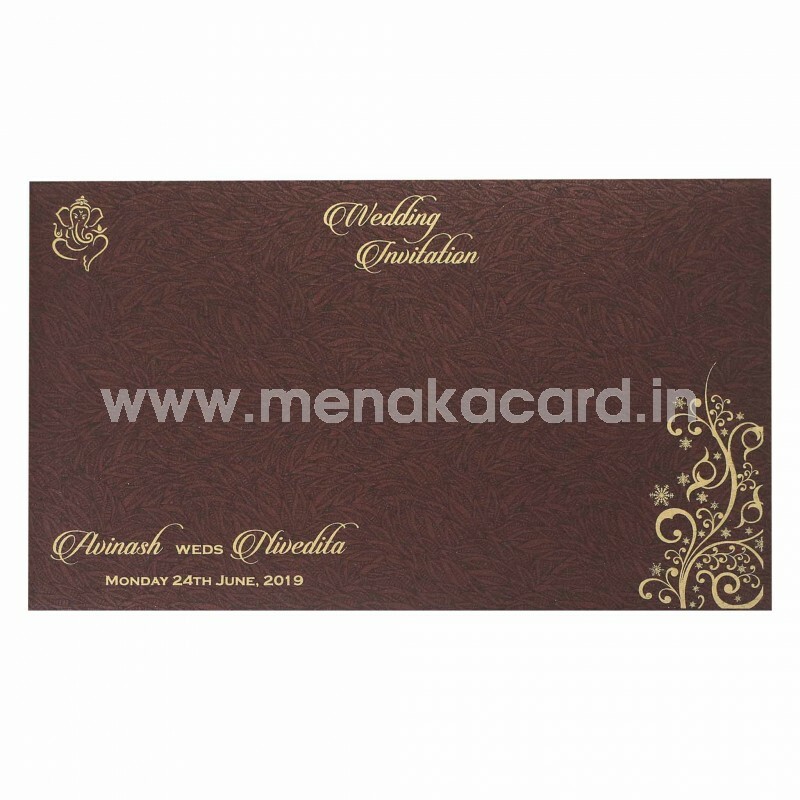 The brown board that this card is made from is printed with beautiful floral lancer patterns all over. 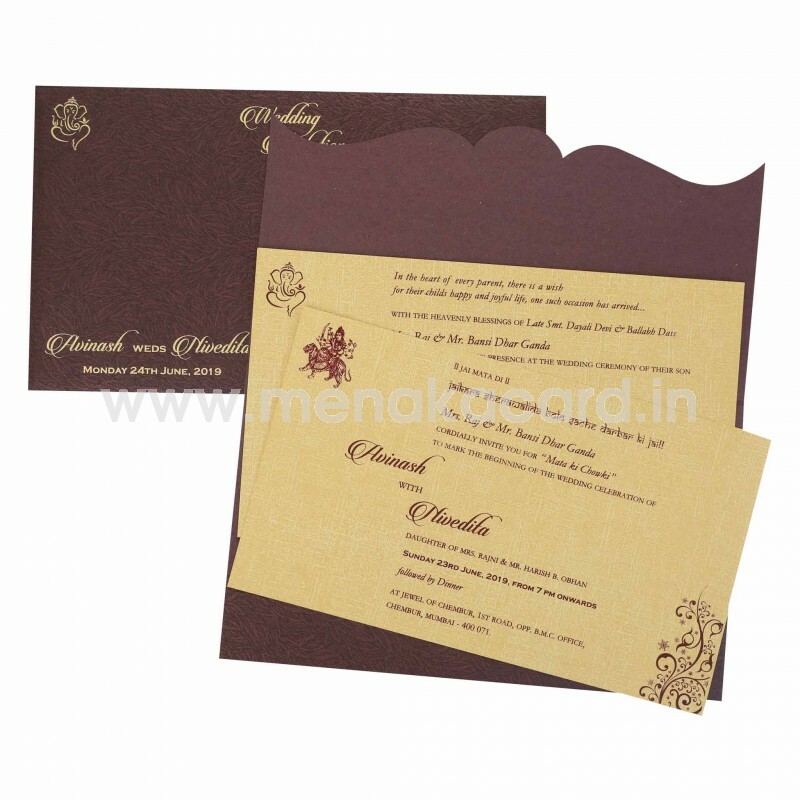 The cardholder contains 2 default cream inserts decorated with the same floral lancers and contains maroon text. This card can be used for all Hindu occasions including weddings, receptions, engagements, grahapravesham, upanayanam etc.